and exam preparation for GED, PSAT, SAT, ACT. ​Is your child struggling with math? Does your student have an important college admission test that they have to take and really need help preparing? Is your teen frustrated and feeling like they are just not any good at math? These are common issues, but the good news is that every one of these issues can be overcome! Your child just needs the right kind of help. 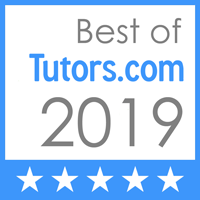 I provide one-on-one, private, internet-based math tutoring to students anywhere in the world using a combination of video or audio chat and web-based whiteboard software. All you need is a computer with a good wifi connection and a student with a willingness to learn. I can provide anything from one-time homework help to consistent, once-a-week or more tutoring. Tell me about your child's math needs!